One of the best ways to get big, beautiful blossoms in the spring is to start planning in the fall. There are a number of different bulbs which should be planted with the right plant food at this time of year, so they’ll have the cold dormancy period they need for the best plant health after the spring thaw. By starting now and adding ColorStar or ColorStar Plus with fungicide, from Nelson Plant Food to your flower beds, you can enjoy the following huge, bright blossoms as soon as the weather warms up. One of the most popular flowers available today, tulips come in a full range of colors and have a classic cup-shaped blossom. Most varieties bear one flower per stem, but some offer two or more. Hyacinths bear beautiful clusters of vibrantly colored flowers, mostly purple or pink but with a few other colors available. It has a number of medicinal uses, mostly as an anti-inflammatory for the skin and throat. This striking star-shaped bloom comes in red, white, pink, and multicolored varieties, and makes a vivid addition to any garden. In the language of flowers, it can mean strength, determination, success, and beauty. 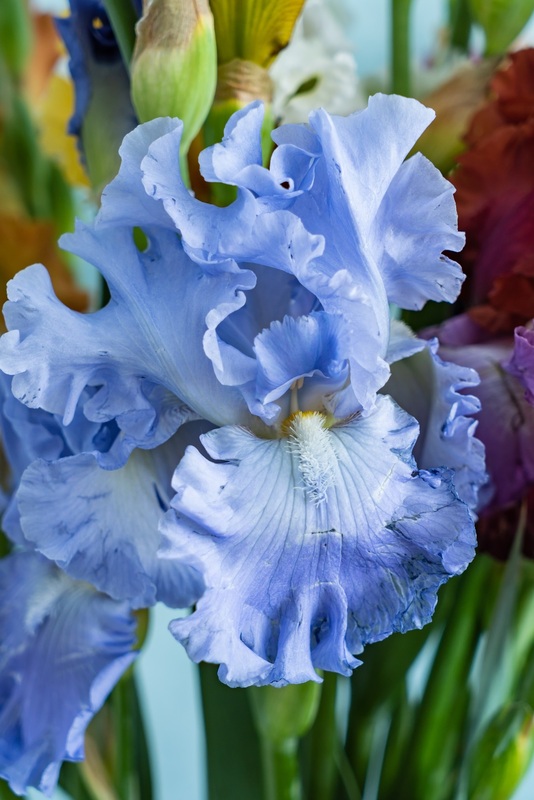 The iris is a uniquely lovely flower, with ruffled petals both reaching up and cascading down from the center of each blossom. It is available in a full range of colors and multicolored varieties, with purple being the classic choice. For a more delicate, low-growing flower, choose the rain lily. Each stem ranges from two inches to one foot in height, and the flowers come in white pink, orange, and yellow for a cheerful springtime mix. Once you’ve chosen the bulbs you want, contact Nelson Plant Food for ColorStar fertilizer to keep them healthy. With bone and blood meal, four different nitrogen sources releasing over a period of three to four months, and a formula specially designed for flowering plants, this unbeatable fertilizer will have your garden looking like a paradise in the spring. Nelson Plant Food sells any size from a 2 pound jar to bulk amounts. For sizes, prices, any questions about ColorStar, or Nelson Plant Food’s other fertilizer choices, call (979) 865-8596 or get more information online.